The best chest strap heart rate monitors are comfortable, accurate, and compatible with your chosen machine or app. Although there are several varieties of heart rate monitors out there, chest strap monitors continue to grow in popularity because of their functionality and their accuracy. They’re also pretty affordable, a nice bonus. But in order to find the best monitor for your needs, you first need to know what your needs are: What activity will you be monitoring? What device will you be using to read your heart rate measurements? Knowing the answers to these two questions is a good place to start. But in case you aren’t sure, this review will walk you through the important stuff you should know before getting a chest strap. I’ll also present my favorite picks amongst all the chest straps out there. The heart rate monitors (HRMs) we’ll be discussing are meant to be used for monitoring your heart rate (HR) during exercise. While I guess technically you could use a chest strap HRM to keep an eye on your resting heart rate, it wouldn’t make much sense. But first things first: heart rate is defined as the number of times your heart beats per minute and (you guessed it) it’s measured in beats per minute (bpm). Why is it important to monitor your HR? Well, your resting HR (your HR when you are just sitting there reading this post) is one of the essential vital signs and is indicative of your overall health. Your healthcare professionals use this data, along with a bunch of other measurements (like blood pressure for example) to get an idea of how healthy you are or aren’t. But why should we monitor our HR when we exercise? There’s no rule saying you have to know what your HR is during exercise. You can exercise perfectly fine without a HRM. But using one can be a powerful tool. Our HR is the most objective measurement we can use to determine our exercise intensity. Think about it- when you’re exercising on a bike or treadmill, how do you know how hard you’re working? We can all gauge our intensity based on how tired we feel, but think about how subjective that is. I know my mood has a lot of influence on how intense my workouts are. If I’m bored or not feeling energetic, I might feel “tired” at a lower intensity than I otherwise would. Using a HRM takes the subjectivity out of the equation. Measuring your HR while you exercise tells you directly how hard you are working. It also comes in really handy if you are trying to stay in one of the HR zones during your workout. For example, if you are trying to take advantage of some of the numerous benefits of HIIT workouts, you should be aiming for a HR in the 80-85% HR max zone. Your HR max is an estimate of the max HR your heart is capable of achieving. An easy way to estimate is subtracting your age from 220. I’m 36, so my max HR would be roughly 184 (220 – 36). So, for me to workout in the 80% HR zone, I need my HR to be at least 159 bpm. Don’t worry, if you hate math most of these HRMs will do this for you. The point is, knowing your HR gives you a lot of control over the intensity of your workouts. There are 3 basic types of HRM: chest strap, HR watches, and earbud. I’ll start with chest strap monitors since there are the ones I’m concerned with for this article. These devices measure your pulse by detecting the electrical activity of your heart, much like an EKG. Since chest straps monitors are directly measuring the activity of your heart, they are usually the most accurate of the 3 kinds. The biggest downside is that you have to wear a strap across your chest. If the strap isn’t fit correctly, it can wiggle down during your workout, which is annoying. Some devices can also chafe depending on your type of exercise. Chest straps also have to be paired with some sort of device to see the readouts. They can pair with a watch type device, a smart phone, or fitness equipment (such as treadmills, ellipticals, and bikes). Some companies are now making HR monitors that are worn on your forearm or arm. These are similar to chest straps, but worn in a different location. These devices are popular because you don’t need to wear a sometimes uncomfortable strap across your chest. Instead you can simply wear a watch and have your HR tracked. These devices utilize optical technology to determine your HR- a light is used to measure your blood as it passes through your veins. HR watches are more convenient, but are typically a little less accurate than the chest strap monitors. Depending on your needs though, they may be accurate enough. A new type of HR monitor popping up on the scene are earbuds that can also measure your HR. These are pretty cool because they fit comfortably in your ear and allow you to listen to music at the same time. These devices also use optical technology. These hi-tech headphones are super convenient, but more expensive than the other types. If you’re in the market for a new set of earbuds anyway, you may want to consider going with a pair that can also measure HR so you don’t have to buy any additional gear. These devices usually sync with your phone for tracking your HR. The first thing you’re probably gonna want to figure out is whether you need a device that uses ANT+ technology or Bluetooth technology. There are both ways your HRM can communicate with your chosen monitor. 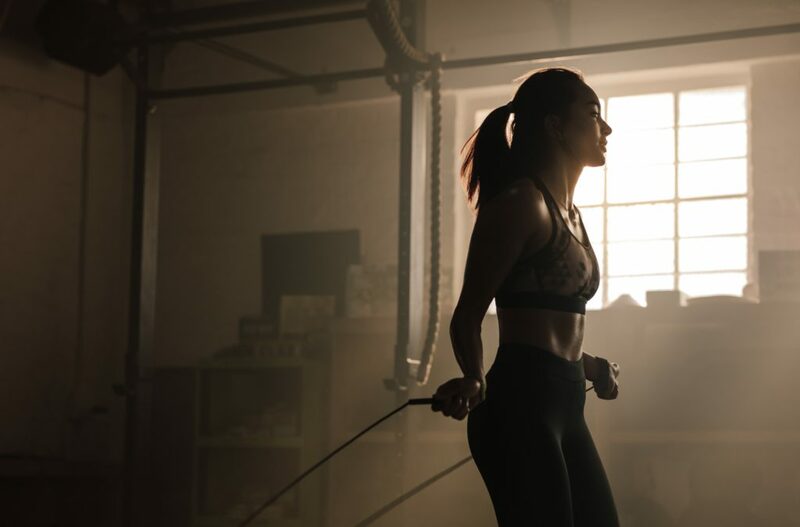 ANT+ is what most types of fitness equipment use, so if you’re planning on connecting your HRM directly to a treadmill, you probably want to go with one that uses this type of connection. Bluetooth is usually the easiest way to connect to a smart phone, so if you plan on using a fitness app to store and track your HR data, I’d go with one that uses this type of connection. Oh, by the way, some HRM’s do use both types of technology. These devices are pretty universal and can connect to pretty much any device. You should consider what type of activities you’ll be doing when monitoring your HR. Not that you need a specific monitor for cycling versus running on a treadmill, but if you plan on swimming you will need a HRM that is waterproof. Also, if you are an avid runner, you might be interested in a monitor that tracks some more advanced running data like cadence, vertical oscillation, and stride length. A cool feature a lot of the higher-end chest straps offer is the ability to store your HR data when your display device isn’t around. For example, if you were using a HRM that connected with your phone and you forgot your phone one day, you could still track your HR on your run and your HRM would sync with your phone once it’s in range again. None of your data is lost even though your phone wasn’t with you on your run. Chest straps aren’t exactly known for being the most comfortable HRM’s, but some are more comfortable than others. The straps should be high-quality elastic and adjustable. Also, always check a sizing chart before purchasing to make sure you get the right size. Even with being adjustable, a lot of times one size doesn’t fit all. The battery life span is something else you might want to consider when purchasing a chest strap HRM. This might not be a deal breaker, but when stuck between two models, this could just be the determining factor. Some monitor batteries last for months, others are listed in hours. Most use coin batteries that are easy and affordable to replace yourself. Polar is one of the top names in HRM’s and their H10 is their most sophisticated chest strap to date. The H10 isn’t only their most accurate chest strap monitor, but it’s also been upgraded with some extra features that make it super compatible with pretty much any device. This chest strap utilizes both Bluetooth and ANT+ technologies. This means the H10 can easily sync with fitness equipment and smartphone apps. It can actually sync with 2 different bluetooth devices at the same time, so if you wanted to track your HR on your treadmill and your smartphone app at the same time it’s totally doable. The H10 works great for any land exercise like cycling and running, but it’s also water resistance to 30 m. So if you want to track some data while you hit the pool, the H10 can definitely keep up. As long as you aren’t deep sea diving you should be fine. While this monitor can easily connect with pretty much any device out there with it’s dual ANT+/Bluetooth technology, it can also save your data for one session without your phone being nearby. All you have to do is turn on the free Polar Beat app and the H10 will sync up with your phone when you return. This monitor comes with a comfortable, adjustable strap that is washable. It also has little silicon dots that help keep the monitor in place on your chest as you exercise. Most users agree this chest strap is pretty comfortable to wear. The battery life of the H10 is at least 400 hrs with everything active. The battery can easily be changed. Beware that some users complained they received their monitor with dead batteries or batteries that didn’t last very long. Another nice feature of this HRM is that it continues to improve itself with automatic software updates, ensuring that you will always have the best version of the H10 with you. From the accuracy of the HR detection to the dual connectivity, the H10 is easily one of the nicest chest strap monitors on the market. If you’re looking for a HRM that can connect to pretty much any device you’ll come into contact with, the H10 is a great choice. As a UVA alumni, I know all about wahoos. But this is a different wahoo, a more sophisticated wahoo. Ok, I’ll try to stop saying wahoo…but you have to admit, it’s pretty fun to say. Anyway, moving on. The TICKR X really should be tied for the #1 spot. It’s hard to decide between the two because they are very similar in almost every category. The H10 has the Polar name going for it, which I must admit, does go a long way. But the TICKR X can hold its own. It too has dual connection technology, utilizing both ANT+ and bluetooth capabilities. This makes this monitor extremely versatile. Even though it was really designed for use with smart phones, it can connect with pretty much any fitness device, GPS watch, or fitness app around. This HR monitor does a lot more than just measure your HR. With different options like treadmill mode, cycling cadence, and rep counting, the TICKR X can provide a lot of additional fitness metrics when paired with different Wahoo apps. It’s also water proof up to 5 ft so you can capture your HR data while you swim. One thing the TICKR X does have over the H10 is its internal memory- this monitor can save 16 hrs worth of workout data without having to sync with your phone. The TICKR X also comes with an adjustable band that is washable. Most users praise it for its comfort and fit. This HRM has a battery life of up to 12 months depending on use. It’s easily replaceable as well as affordable. To back their product up, Wahoo offers a 1 year warranty on the TICKR X HRM. This is pretty standard in the HRM world where most warranties are in the 1-2 year range. Overall, if you’re looking for a super compatible HRM with several additional features, the Wahoo TICKR X is a smart choice. It comes well rated and priced to move. Like any wahoo, a class act all the way. Garmin is another big name in the HRM and HR watch game. They’ve offered several models over the years, but the HRM Tri is their smallest and lightest. It gets its name from the fact that is specifically designed for triathletes. This means if you are into running, cycling, and swimming, this could be a good fit. The HRM Tri uses ANT+ technology only for communication. Unlike the 2 HRMs mentioned above, this chest strap doesn’t use bluetooth at all. This means it won’t be quite as universally compatible. ANT+ is used by most HR watches and fitness machines, so connecting with them shouldn’t be an issue. But if you want to connect with your smartphone via a fitness app, you’ll most likely need an ANT+ adaptor. The HRM works well for triathletes not only because it’s water rated for swimming, but because it’s small and comfortable to wear (only weighs a few ounces). The monitor is only as wide as the strap and all corners have been round for extra comfort. When swimming, the HRM Tri can store up to 20 hours of data that it can then load to your compatible monitor. For running, it can track 6 different running metrics, including cadence, stride length, and ground contact time. The HRM Tri has an adjustable strap and a battery that should last around 10 months with an average of about 1 hour of use per day. When the battery eventually fails, it can easily be replaced. Garmin backs this HRM up with a 1 year warranty, which is pretty standard for chest straps. If you are a triathlete or someone simply looking for a light and comfortable chest strap, the Garmin HRM Tri is a good choice. Just keep in mind you will need an ANT+ compatible watch or device to see your stats. Polar’s back up on the list with their inexpensive T31 HR transmitter. This monitor is a little less sophisticated than the other chest straps previously mentioned. But if you are really just looking for a HRM to use on your cardio machine or with a wrist watch, this might be just what you’ve been looking for. The T31 communicates via 5 kHz transmission, which is a little different than ANT+ or bluetooth. A lot of wrist watch HR monitors (especially Polar ones) and fitness machines are compatible with this technology. But don’t expect the T31 to be compatible with your iOs or Android smart phones- not gonna happen. The “coded” part of the name means that this HRM is designed to block interference from nearby devices. Sometimes if you are in an exercise class and you are using a non-coded chest strap, you can get interference from nearby HRMs. The coded T31 ensures your HR readings are accurate and only coming from your measurements. The T31 is lightweight and waterproof. If you pair it with a compatible wrist watch, you can get real time data about your HR as you swim. The T31 doesn’t provide any additional running data like some of the other monitors above. It’s simply a HRM- but it’s one that’s especially good at it’s job. Another interesting difference about the T31 is that it doesn’t have a replaceable battery. It doesn’t have a rechargeable battery either. When the battery dies, you throw out the whole chest strap and buy another one. This might sound wasteful, but the battery is designed to last for 2500 hours. If you workout for about 5 hours a week (1 hour a day), that’s almost 10 years. And not having to make the battery replaceable allows Polar to keep the T31 smaller and sleeker, which means more comfortable for us. If you already have a compatible wrist watch or are just looking for a chest strap to use with gym equipment, the Polar T31 is a smart (and affordable) choice. Finishing off our list is the Suunto Smart Sensor. Suunto is a company based out of Finland who started off with making compasses for explorers. Over the years they’ve branched out into sports watches and HRMs. They claim their Smart Sensor is the smallest HRM on the market. It does look tiny. With a total weight of a couple of ounces it very well could be the smallest HRM around. The Smart Sensor uses bluetooth tech to communicate with compatible monitors. If you are planning on using your iOs or Android phone for data tracking this HRM would work well. It works with the Suunto Movescount app. This device is also waterproof and can store your data while you swim. When connected with their app or one of the Suunto sports watches, you data will be available. The Smart Sensor uses replaceable batteries. The coin like batteries are affordable and easy to swap out whenever they die on ya. Suunto offers a 1 year warranty on their Smart Sensor. Again, pretty standard and to be expected. Overall, the Suunto Smart Sensor is a pretty well reviewed bluetooth chest strap monitor. If you already have (or are thinking about) getting one of their sports watches, it makes sense to get the Smart Sensor too. Otherwise, make sure you are comfortable with their fitness app before buying. Chest strap heart rate monitors can make a great addition to your workout toolbox. Having accurate heart rate data during your workouts can help you adjust your intensity to reach your goals more efficiently. Before deciding on a chest strap though, take some time to figure out which kind will work best for your needs. Knowing what type of device you plan on reading your results on will make a big difference in your decision making process. Along with that same thought process, knowing what type of tech you will need your HRM to communicate with (ANT+ vs bluetooth) is paramount. Just remember that smart phones use bluetooth, watches and fitness equipment usually use ANT+ (of 5kHz transmission). Finally, consider what type of exercise you’ll be doing. If you are a swimmer, you should consider a chest strap that is water proof (for obvious reasons). I hope this review was helpful. If you have any questions or comments, leave them below and I’ll get right back to ya.